Welcome to the our Locksmith Bonnyrigg page. You probably don’t realise it yet, but you have stumbled upon the best locksmith service to Bonnyrigg, and the surrounding areas. We are based right next to the Edinburgh city bypass. This means we are in a great location for reaching Bonnyrigg, day or night. Having our number stored is a great idea! In the case of an emergency, such as being locked out. We could be with you in around 15 minutes 24 hours a day. We are the company you can trust! Unfortunately for the customer, locksmiths are usually needed in an emergency situation. This is where some companies take advantage of people. They know if someone is in desperate need, they will pay over the odds for a service. At Alcatraz Locksmiths our morals are firmly in place. We NEVER take advantage of a customers situation. Our prices are fixed and never change, even at the weekend. We regularly open locked doors during the night for £80, and have been informed customers have been quoted up to £180 from other companies. This is what we mean about locksmith firms taken advantage of people in need. Its not that we are against firms turning a good profit, we just don’t like people getting ripped off. It gives the locksmith industry a bad name. Type ‘locksmith Bonnyrigg‘ into google maps and you will find dozens of 5 star reviews for our company. These reviews have been built up over a long period of time, and can all be verified. This is fast becoming one of the biggest areas of a locksmiths job. listed below are the main issues people have with these doors. Apart from the ‘unable to get the key out a locked barrel’ issue, all the other issues are related to the door being misaligned. Most UPVC door move out of their natural position over time. This could be due to movement in the building, or by the weight of the door pulling the hinges out of position. Once the door is out of position, it is only a matter of time before problems will surface. 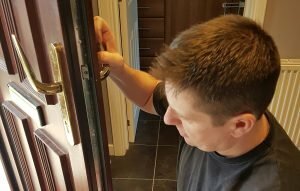 For a more detailed description of UPVC door problems, have a look at our UPVC door lock repairs Edinburgh page. They may want to rent out a spare room for some money? Perhaps someone wants privacy from a nosy sibling? The householder may want to enhance their security? 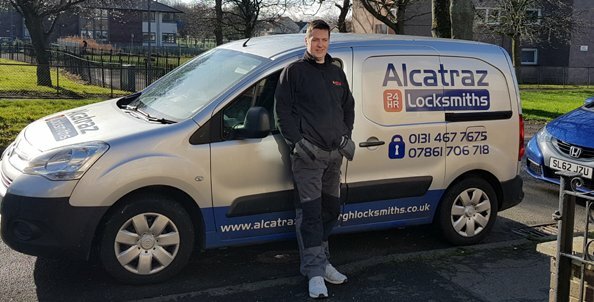 Whatever the reason someone wants a new lock installed, at Alcatraz locksmiths we ensure it is done to a very high standard. We are methodical with our measurements prior to, and during a new installation. This ensures the final finish resembles what you see in a showroom. Unlike some other trades, upon completion of works, we will fully clean up behind ourselves. This ensures the customer will not have the inconvenience of cleaning up our mess. Feel free to give us a call anytime for a no obligation quote. Or if you would prefer, we can visit you at your home.